In Sanskrit, śīla is a term in Indian-derived systems such as Hinduism and Buddhism which is usually rendered into English as «behavioral discipline,» «morality,» or «ethics» (Tibetan tshul khrims). 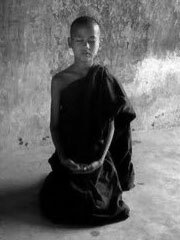 More specifically, the concept deals with the prohibitions against immoral behavior that are practiced by monks and nuns in Buddhism. It is one of the «three practices» (see the Noble Eightfold Path), the second pāramitā: moral purity, of thought, word, and deed. The four conditions of śīla are chaste, calm, quiet, extinguishment, i.e. no longer being susceptible to be perturbed by the passions.